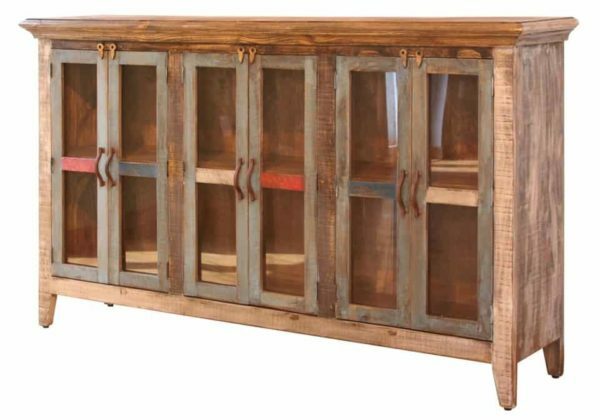 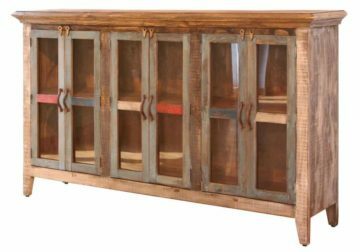 Casual rustic style is represented by the six step hand rubbed finish and durable construction of this console cabinet. Each of six doors are adorned with hand forged iron pulls in a rust color finish and have glass inserts. 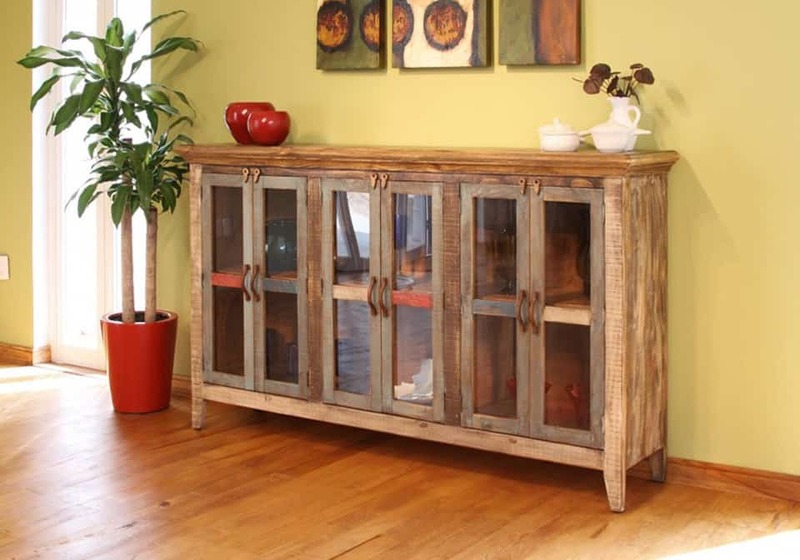 Constructed from solid pine this console holds fixed internal shelving for added storage. Add rustic appeal to your home by bringing in this primitive piece.